junction of the Allegheny River and French Creek during one of his military excursions. There, the settlement was called Venango but soon became known as Franklin. Established in the heart of the original oil country in the 1740s, Franklin is the seat of Venango County. Once referred to as "the Nursery of Great Men," it boasts a rich history of industry and railroads. Franklin's historic district, listed in the National Register of Historic Places, includes businesses that have been staples in the city for over 100 years, such as Feldman Jewelers and Anderson Furniture. 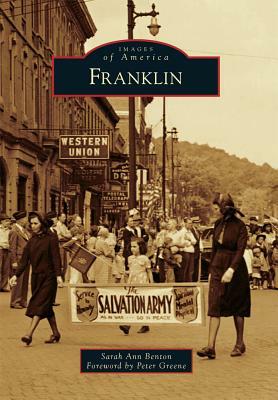 Today, Franklin takes great pride in its history and heritage. Franklin's annual Applefest, the largest craft festival in western Pennsylvania, honors the travels of Johnny Appleseed, who planted his trees throughout the town during his journeys, and the bridge that spans the confluence of the Allegheny and French Creek is still known as Washington Crossing.